The moment you hear the opening siren, you know that 1. )You heard this same siren to signal when Uma Thurman was going to go nuts on someone in Kill Bill, and that 2.) Damn does Tarantino have an original thought in his head? King Boxer is widely considered to be the film that started the kung-fu craze in the States that paved the way for Enter The Dragon, which followed the same year. The story here is what makes this film great. The fall of Chih-Hao and his betrayal at the hands of a friend, who pays a terrible price for his betrayal by having his eyes plucked out, and the final act, where revenge is paid out to different characters on several levels is classic in the way the plot is constructed as cascading events lead to this inevitable conclusion. Lo Lieh, who had made a career playing mostly bad guys, is good here as the good guy Chih-Hao, and Tien Feng, always a great performer in Shaw Brothers films, is as good as always as the villainous Meng, especially toward the end when Meng makes a tragic mistake. James Nam is also good as the betrayer Han Lung, who pays a heavy price and becomes a sympathetic character who meets a tragic end with the woman he loves. 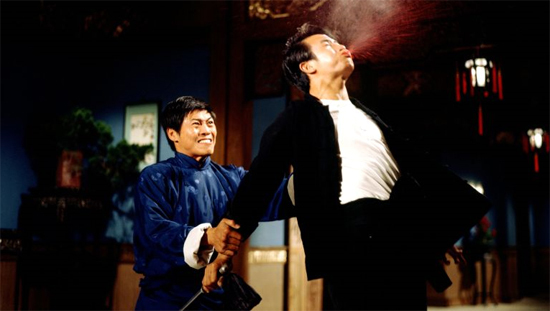 The fights here are actually not very good compared to many other Shaw Brothers film, but this truly a “blood capsule” film: whenever anyone is in their death throes they bite down on that capsule and let the blood flow from their mouths to simulate massive internal injuries. The choreography looks almost clumsy at times, as if the fights were put together quickly (they probably were). The camera work does a great job of framing the fights, and this film has no shortage of fights, even if they aren’t as good as they could be. On a side note, Kill Bill uses the siren music and other notes from this film, and of course the eye plucking scenes. 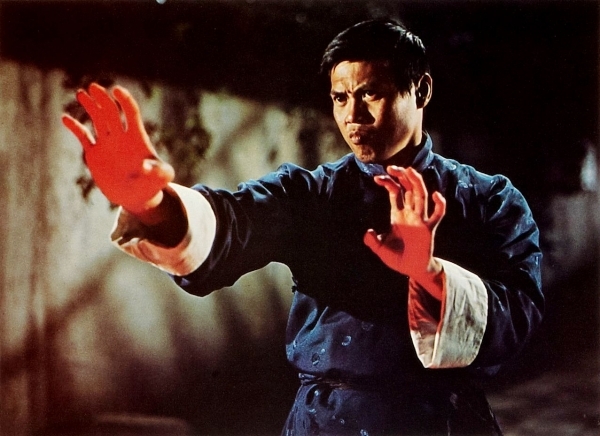 King Boxer started the successful influx of kung-fu cinema into the United States, and internationally brought the Shaw Brothers film style to the masses, with a great story and hallmarks that would define old-school kung-fu films of the 70’s. NEXT: Two brother battle it out in New Orleans in Brawler! Click the pic below to purchase! Nice work as usual Michael Hope you’ve put this on Heroic Sisters. I like us bloggers to keep up a presence there. Well, it is certainly different. Looking forward to watching this one myself when I get around to it in my chrono Shaw series. Sounds like it’ll be a good one, although if the first kung fu movie to breakthrough in America wasn’t good, I’d be surprised. I recently watched my first Cheng Chang Ho movie, Heads for Sale, and was underwhelmed so it sounds like he stepped up his game in the couple of years between that and this. I love Lo Lieh too. I like the new rating system as well, simple and the red makes it stand out. I will miss the individual grades on the components of the martial art film, though, but I think it makes it easier on you and the reader to just have one big rating.